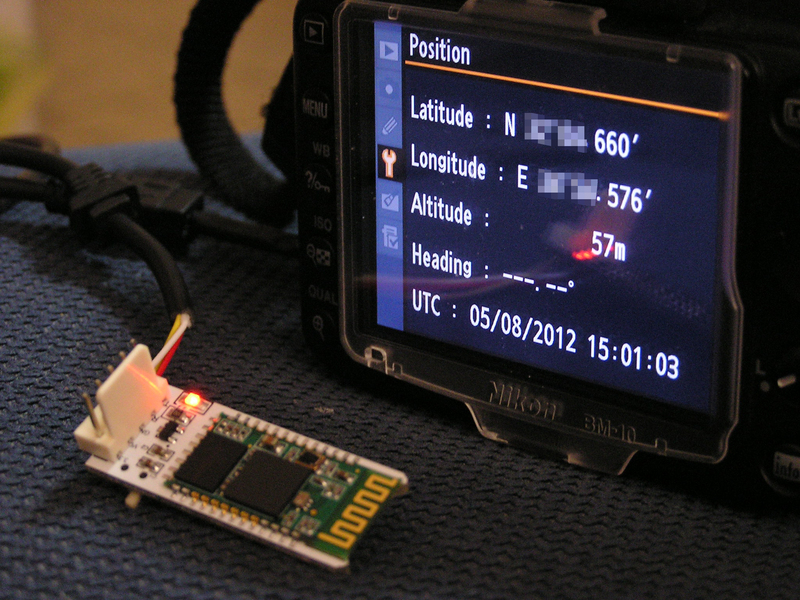 Welcome to the Bluetooth GPS for Nikon DSLR Project page. From the first time I saw the power in geotagging images I was immediately hooked. My Nikon D90 is capable of geotagging, but, unlike the S100 (for example) it has no internal GPS and requires the somewhat pricy GP-1 GPS Unit. I set out to make a better cheaper solution. To keep the unit more mobile, I wanted to use a GPS that supports Bluetooth. This way I could have a less bulky setup. (+ I got to reuse a Bluetooth supporting GPS unit I already had). The nice bonus is that it works with any Android smartphone which has the “GPS over BT” application installed, you can download it on the Play Store. There is definitely some hack and slash to this project as well as some soldering. WARNING! You can harm your camera! Do at your own risk! I bought my parts from eBay. Explanation about the parts and their role. Tearing off the cover of the connector. 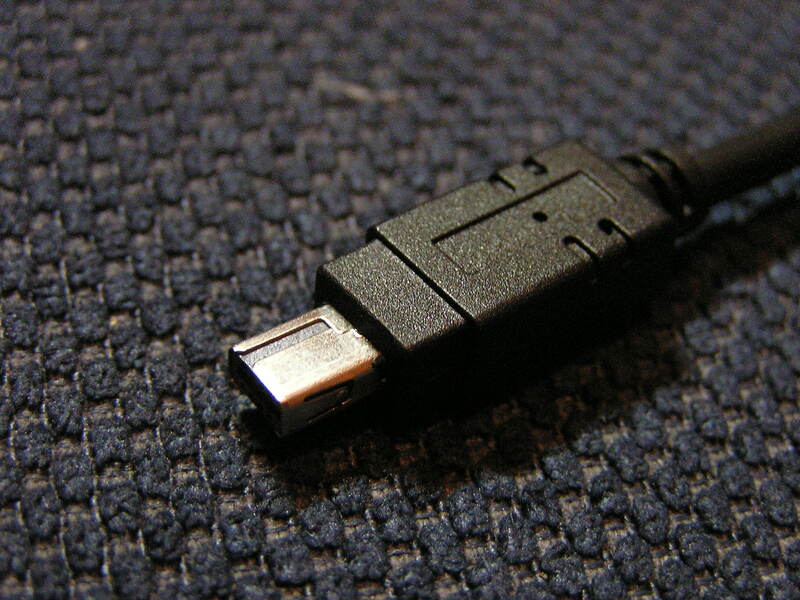 Installing the USB to RS232 on your PC. 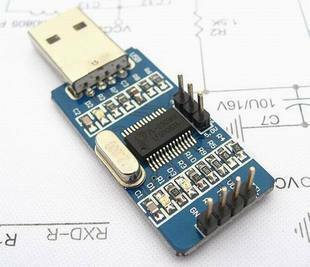 Connecting the Bluetooth module to the USB module. Soldering the wires to the BT module. 1. Explanation about the parts and their role. 1. The Remote Shutter Release Cord for Nikon MC-DC2 is our connector source since I couldn’t find the Nikon connector, we just need to take the shutter release box off and leave the wires with the connector. Notice that you need to check the connector. It should have all the metal pins in there, some of the manufactures just make it with the Ground, Shutter and Focus pins only. 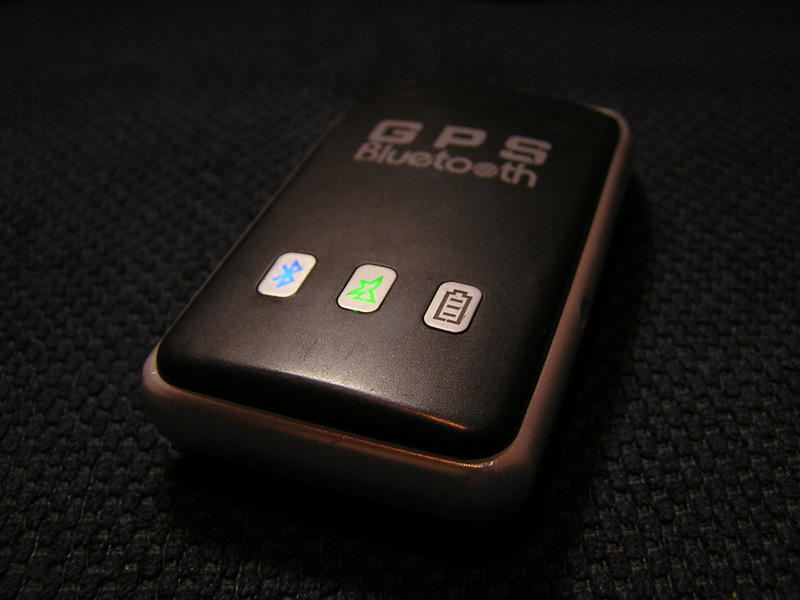 BT GPS receiver. we will configure it to connect to specific BT device (can be configured to several devices also). 3. 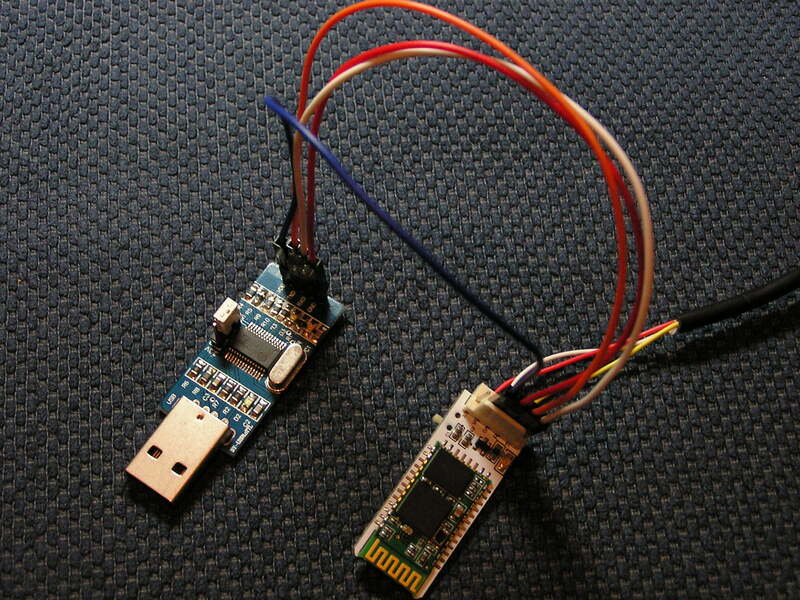 USB2.0 to RS232 TTL Converter Module PL2303 will give us the possibility to “talk” to the BT module and configure it. As you can see I will use the PL2303 chip and I had to put a Jumper between the 5V and the middle pin to choose the how much volts I want. Notice that some of the USB module will not have the second part of the pins, in my case it exist to choose the volts. 4. BT GPS receiver receive the GPS signal (NMEA protocol) and transmit it over the Bluetooth. 2. Tearing off the cover of the connector. 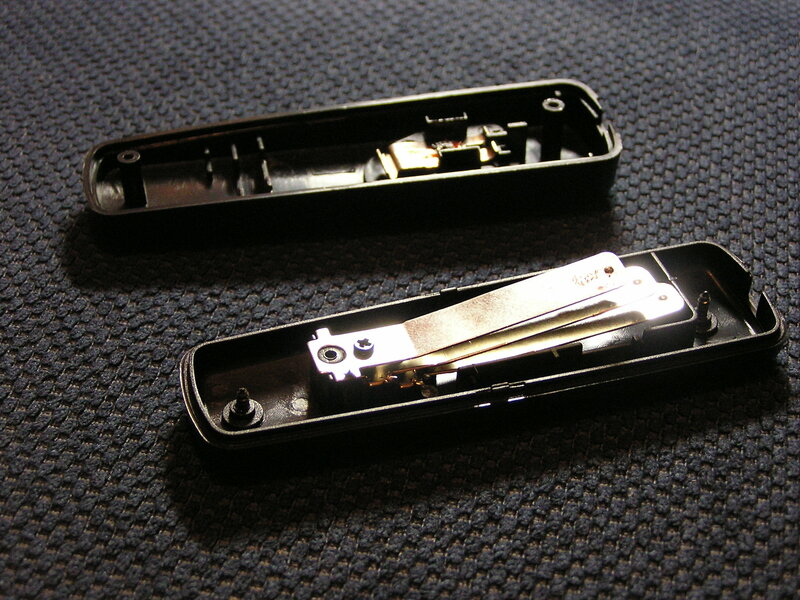 Take the Shutter Release box and open the screws. You will find 3 wires connected to 3 metal pieces take the wires off the plates. 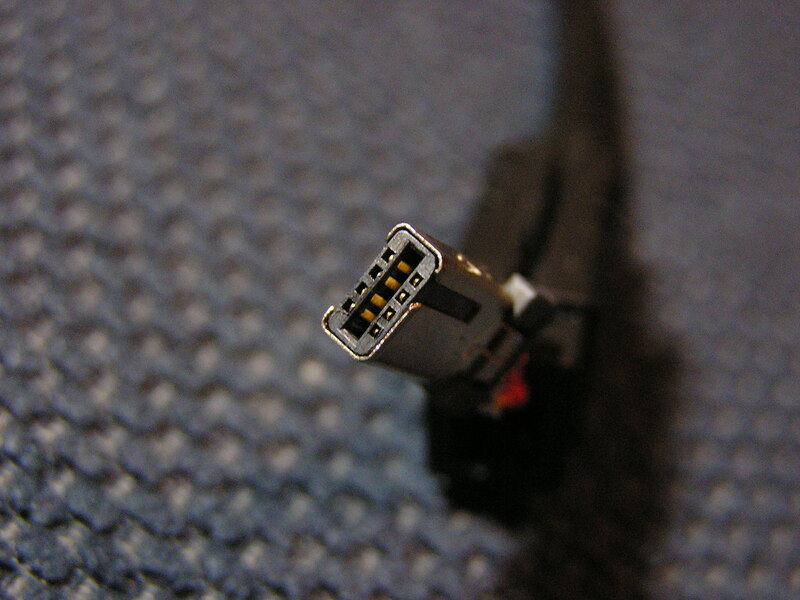 Now, carefully cut the connector cover until you see the wires and the connector itself. 3. 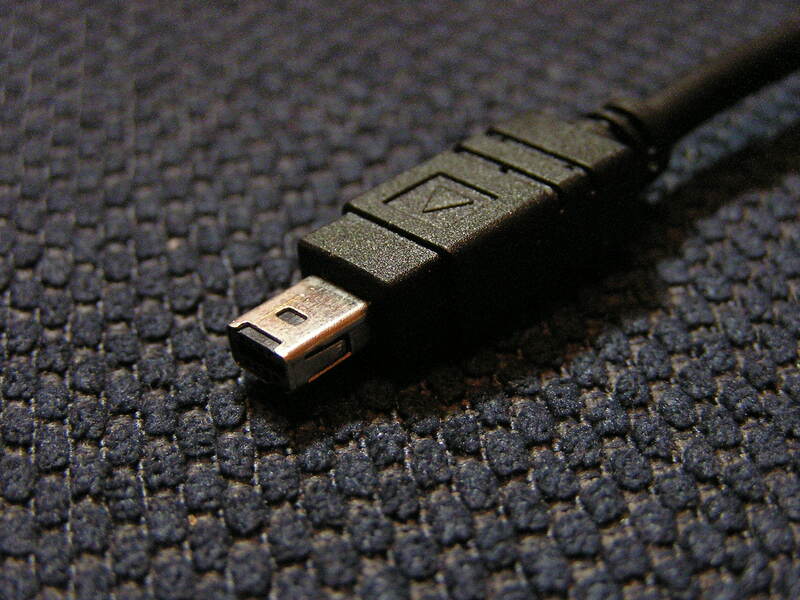 Installing the USB to RS232 on your PC. 4. 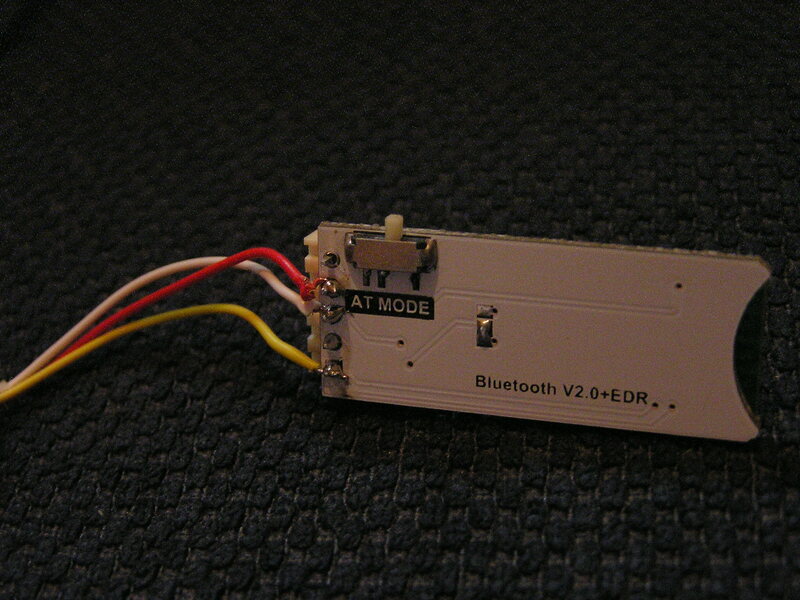 Connecting the Bluetooth module to the USB module. I installed a l little bridge on the BT module because it has holes instead of pins, if you have holes buy one it will make your life easier. 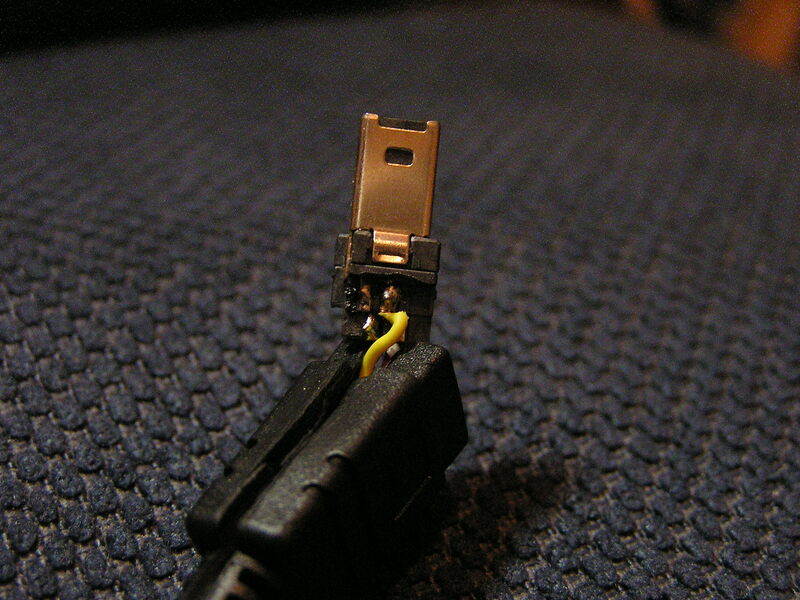 Be careful with the connections, if you mess it you can short and kill you modules and even your USB port. 5. Configuring the BT module. 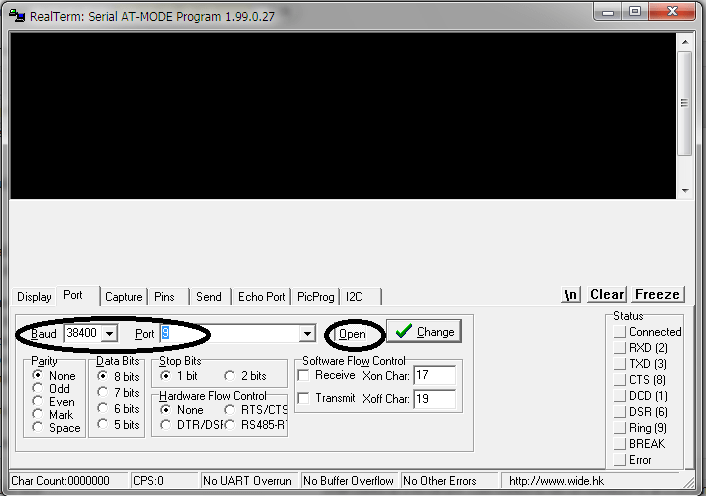 First of all, you have to change the mode of the BT module to AT mode. this mode allows you to send commands to the BT module. do it by moving the button to the left (the contacts side). Now connect your USB module to your computer, you should see LED light on the USB module and blinking LED on the BT module. the BT module LED have several blinking modes, the first is slow blinking (and light goes longer) which will appear in the AT mode. the second is fast blinking which says that the module is searching for devices. the third one is when the module is trying to connect to device it will show slower blinking than the searching mode but faster then the AT mode. the last one is when the module is connected, you will see two blinks and break. 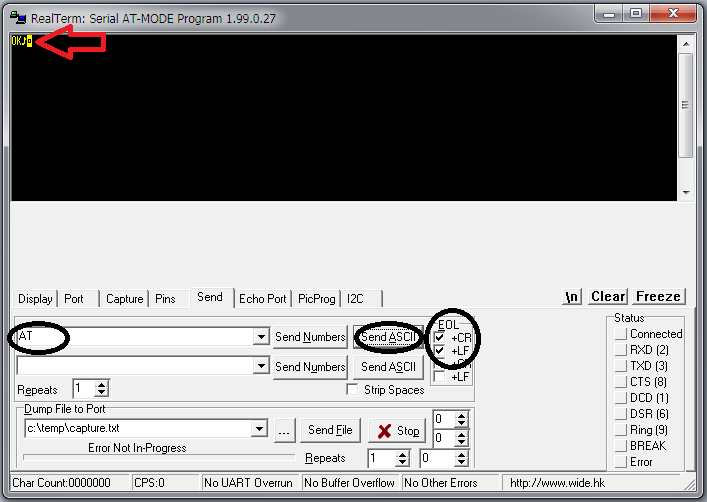 Set the Port to your COM port and the BAUD to your baud rate (it supposed to be written in the BT manual) as you can see mine is 38400. after you set it click on Open. Then got to the Send tab and tick the two first +CR and +LF in the EOL. To test it, write AT in the line and then click Send ASCII. If everything went right you will see a little OK in the terminal output. 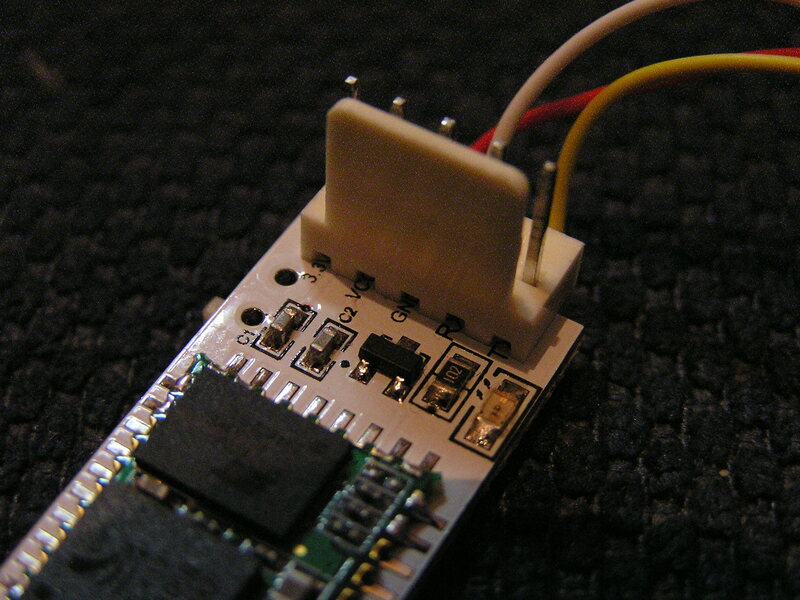 The next part is to send the right commands to the Bluetooth module. For example, if you want to change the module name type: AT+NAME=”yourname” and click Send ASCII, if it went right you will see OK again. Now, we have to configure the password for pairing. I used 0000 because it’s my Bluetooth GPS receiver password and it can be configured also on my Android phone. Next, we will set the connection mode, you can choose between 2 modes. Switch the AT button back to its original position. 6. Soldering the wires to the BT module. We have 3 wires, the Ground the Shutter and the Focus. Take the red (shutter) and the yellow (focus) out, don’t touch the white one, it’s placed right. Take the red wire and solder it to the 5V on the connector. Take the yellow wire and solder it to the GPS data on the connector. If you think you’re not sure, take a look HERE and HERE. On the BT module, solder the red wire (5v) to the VCC (5v), solder the yellow (GPS data) to the TX (Transmitting data) and the white (Ground) to the GND (Ground). Be careful with the 5V and GND connection, if you connect it wrong you can burn your camera or something. Now connect your module to the camera and wait to the LED light to be turned on. If everything went as we wanted, you will see it blinking and connecting to your BT GPS receiver you camera will show blinking GPS icon. When your receiver get a fix go to GPS in your camera and hit Position-> and you get it! Don’t forget to take it out from your camera when you done, it drains the battery even if your camera is off. I put it in a pill box which fit exactly. I want to thank Eulalio Jimenez from http://www.photoleza.org for his help. And also for Fernando Lamarca Belanche (aka FLA) from http://www.nikonistas.com. Since I published this tutorial (August 5th 2012) I did a lot and now I finally finished. I bought some pills boxes from eBay and put in the BT module. 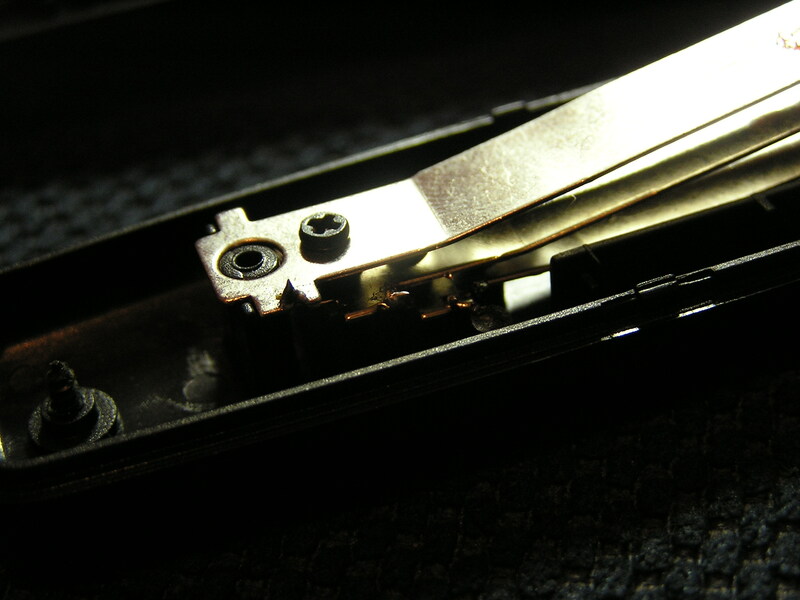 It turned out that it’s pretty hard to cut the plastic partitions inside, but after a few hours I did it. Here’s the final product, used in my last trip to Switzerland. Worked great even in the highest mountains up there. The BT project inside the pills box. P.S I’m desperately looking for the USB connector to buy, I found some here, here, here and here (I think that it’s the connector, I’m not sure because the regular P&S Nikon connectors have the same shape but not the same size) but they sell at least 5000 pcs and I don’t really need that much. So, if you have or you bought, please tell me and I’ll buy some from you.